The last live action Tim Burton film that didn’t star Johnny Depp is eleven years old? Big Fish is the story of a man attempting to learn more about his father. This film is beautiful and it proves that Tim Burton is capable of producing amazing things, not just visually stunning but powerful stories leave a lasting impression. Michael Sullivan Jr (Tyler Hoechlin) decides to hide in the back of his fathers’(Tom Hanks) car and inadvertently witnesses something that will forever change the nature of their relationship. When I first saw this film I was struck by how easy it was for me to relate to Michael Sullivan Jr., granted I didn’t grow up in the depression and my father wasn’t employed by the mafia but my father was something of a stranger in my youth and I never really understood what he did for a living. I’ve grown to respect and love my father but he not unlike Michael Sullivan was an intimidating figure in my youth. This movie is about the pursuit of money and power at any cost. Daniel Day Lewis plays Daniel Plainview and gives a performance that will be talked about for decades to come. For me this is a guide of how not to raise my son. Woody Grant (Bruce Dern) is an elderly alcoholic who believes he is the winner of a million dollar sweepstakes. David Grant (Will Forte) is his son who accompanies him on this road trip picture. My favorite films are the ones that change my perception, ones that help me to view the world or a subject in a new light. This is a very simple story told with an honest voice that speaks to may uncomfortable truths about aging and the relationships between fathers and sons. This the second film of Paul Thomas Andersons films to make my list and it makes me wonder about what PTAs relationship with his father is like. This film is about how our choices impact the lives of those around us, how chance, fate and luck intersect. 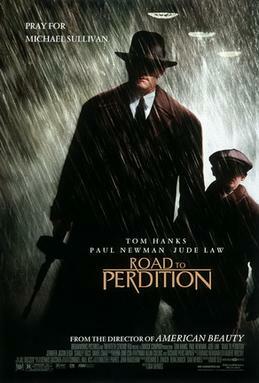 Tom Cruise gives an Oscar worthy performance as Frank TJ Mackey the son of Earl Partridge played by Jason Robards in his final on screen performance. Jeremy Blackman plays Stanley Spector the son of Rick Spector played by Michael Bowen. 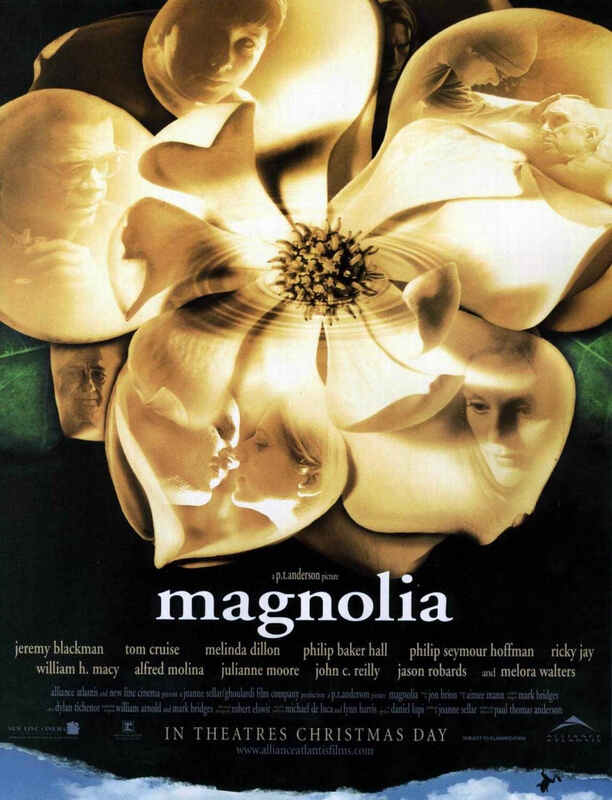 This is an incredibly complex movie that is difficult to describe in under 1000 words but I can say that I find something new every time I watch it and I’ve yet to not cry during the Aimee Mann montage. Yes I cry at montages. I am a sap.